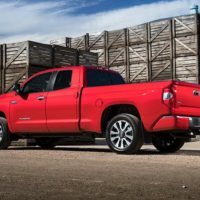 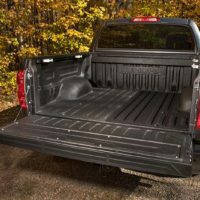 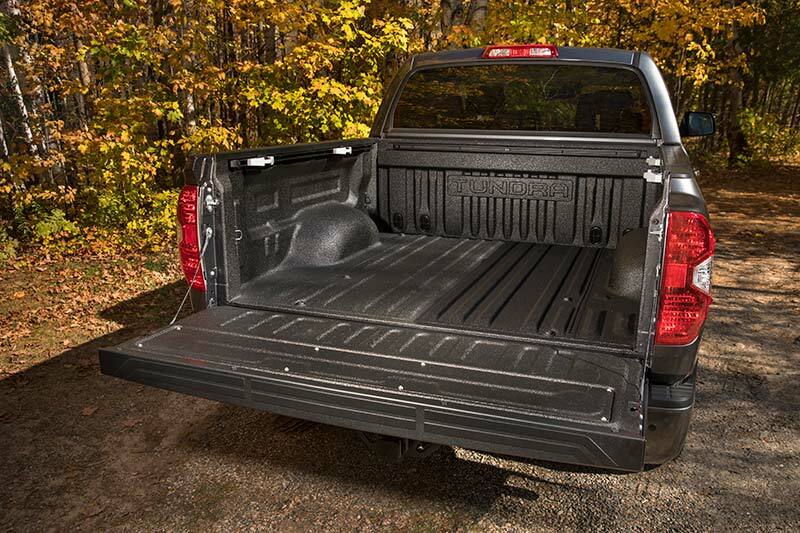 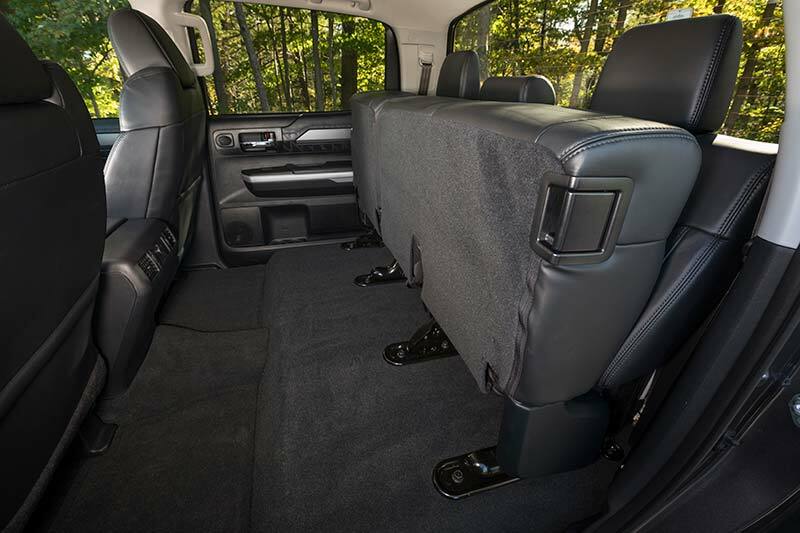 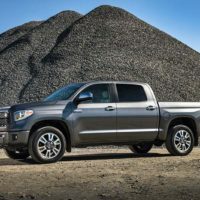 Toyota have recently released information regarding the 2018 Tundra full-size pickup that adds two new TRD Sport models to the lineup and receives updated design cues, additional safety and convenience technologies and more. 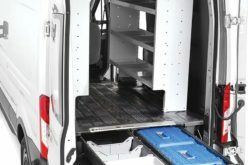 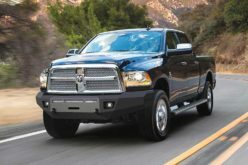 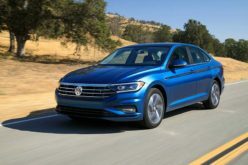 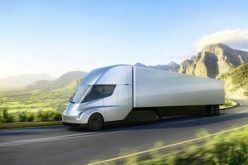 The truck will feature a new grille and headlight design, plus new LED daytime running lights, and will still be offered in a variety of body combinations including Double Cabs with 6.5-ft. or 8.1-ft. beds and CrewMax cabs with a 5.5-ft. bed. 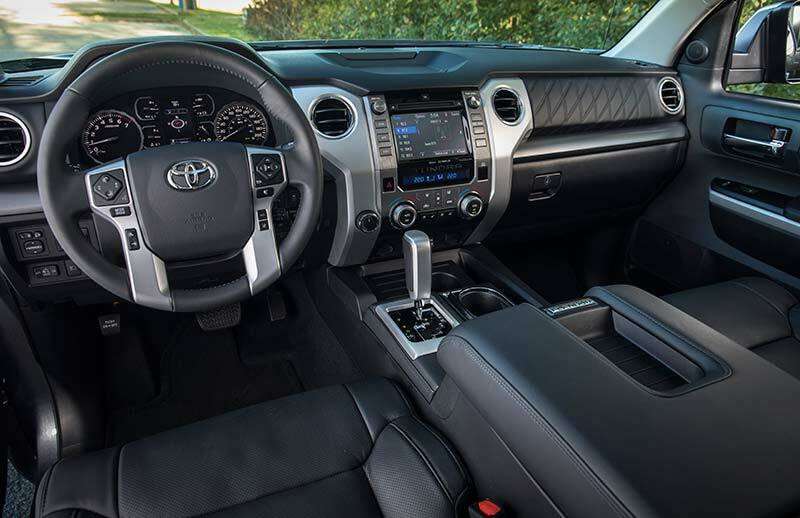 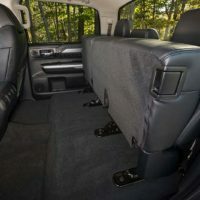 The Tundra’s interior remains the same as previous years, as do the engine options with the 5.7L i-FORCE V8 and the 4.6L i-FORCE V8 that deliver 381 and 310 horsepower respectively. 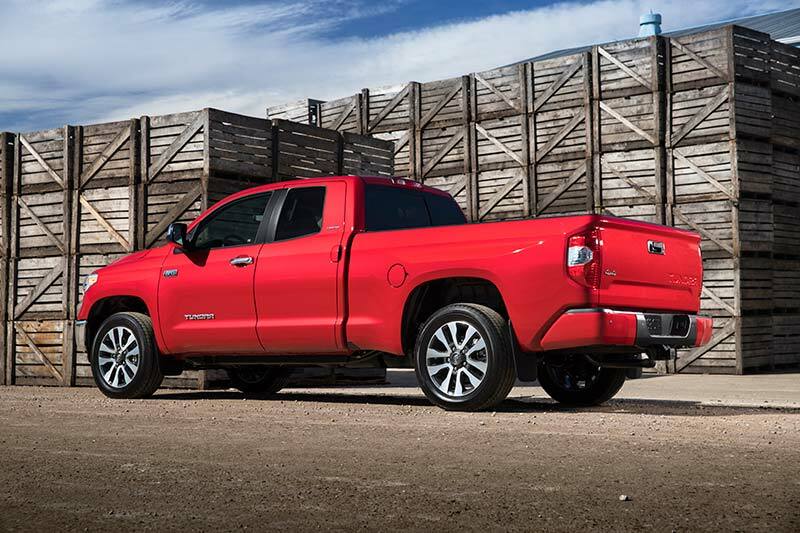 Both the Double Cab and CrewMax models with 4×4 and the 5.7L engine option will now offer TRD Sport Packages in 2018 both of which feature TRD Sport-tuned Bilstein shocks, a sport-tuned suspension with TRD front and rear sway bars, 20-in. 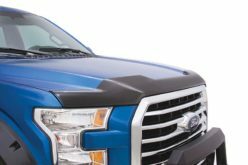 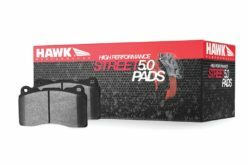 alloy wheels, hood scoop, LED headlamps and fog lamps and much more. 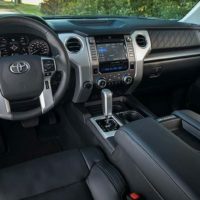 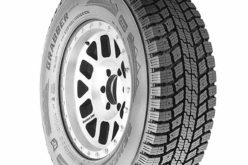 Alternatively, Toyota will still be offering the popular TRD Off-road package that offers many more off-road oriented features such as fuel tank protector plates and all-terrain tires. 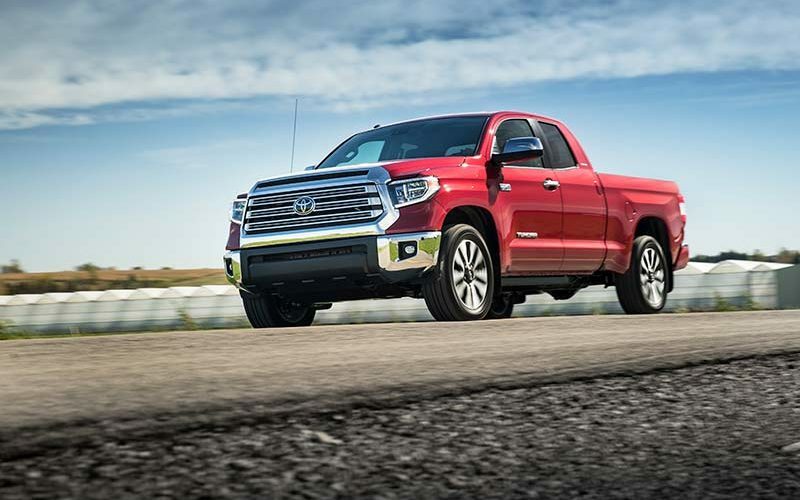 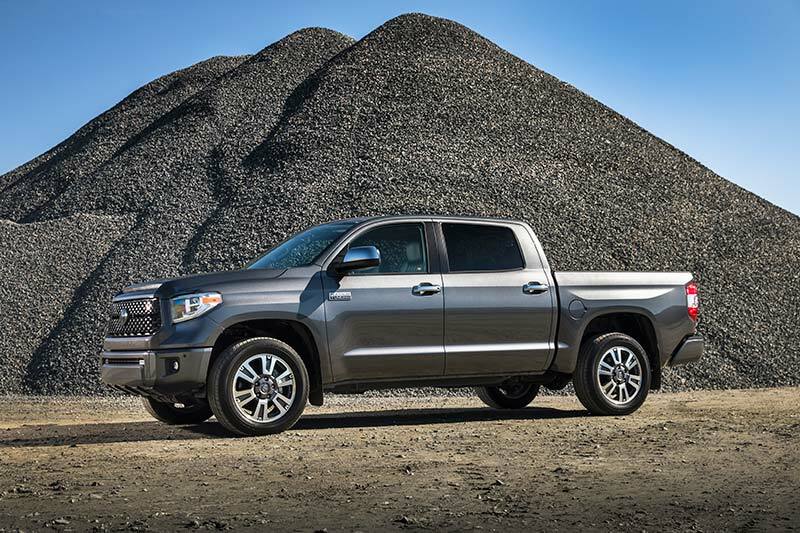 All 2018 Toyota Tundra models are on sale now at Toyota dealerships across the country.